Dennis Diekmeier hasn’t broken many records in his career, but the 27-year-old did manage to write his name in the Bundesliga history books on Matchday 2 - albeit inadvertently. At the RheinEnergieSTADION on Friday, the Hamburg defender became the first player to go 183 Bundesliga appearances without scoring a goal, beating the previous record held by former Hannover and Arminia Bielefeld defender Markus Schuler. 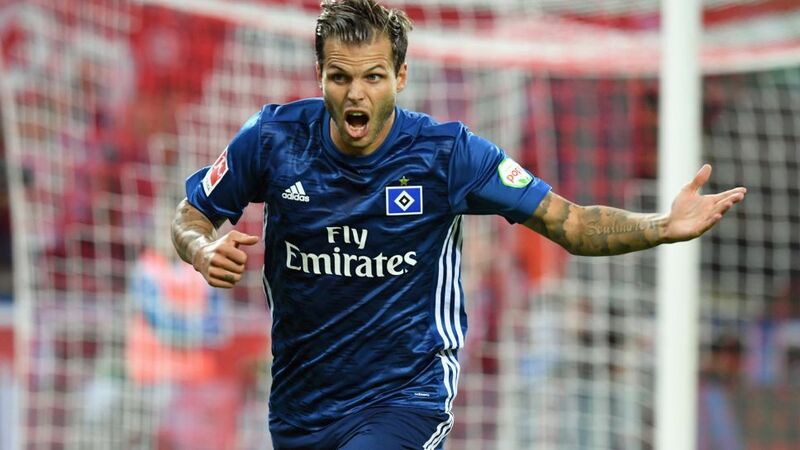 Thankfully from a Hamburg perspective, Diekmeier's lack of goalscoring prowess did not prove costly as goals from Andre Hahn, Bobby Wood and Lewis Holtby helped HSV to a 3-1 victory against UEFA Europa League participants Cologne, which lifted the Red Shorts to the top of the Bundesliga - albeit temporarily - for the first time since September 2009. Diekmeier’s 184th opportunity to open his Bundesliga account comes next Friday, when the northern giants entertain last season’s runners-up RB Leipzig at the Volksparkstadion. Click here for more Hamburg news!